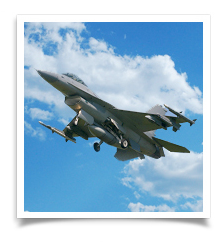 Nation Coating Systems Specializes in the Development and Application of High-performance Thermal Spray Solutions for the Aerospace, Military, Power Generation, Automotive, and Petrochemical Industries. Our expertise includes metals, ceramics, composites, thermoplastics, epoxies, and hybrid materials. We are an FAA Repair Station, and are AS9100:2009, Rev C and Nadcap accredited. These are the "gold standards" for thermal spray quality, and your assurance that work will be performed to the highest quality levels, with Best Practices in place for continuous improvement, testing, documentation and archiving. Nation Coating Systems has the resources to develop and apply coatings that meet your criteria for performance and economics.